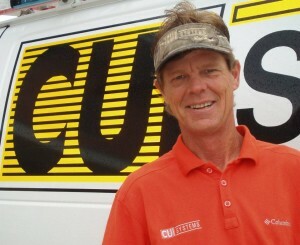 CUI Systems is locally owned and operated by Norman T. Wilson. In business since 1990 CUI serves the security, fire protection, CCTV, access control, and network cabling needs of east and central Mississippi and west and central Alabama. The experienced staff at CUI Systems is always ready to answer your questions-call our office today to request a quote or to have a technician come out and look at your site. Norman is a class B certified system technician and has been in the security and electronics industry since the mid 1980’s. He is a past secretary of the MS Alarm Association and is a current active member of both the MS and AL Alarm Associations. Norman has his NFBAA level one and level two certifications and attends annual alarm trade shows and conferences to keep up with the latest industry trends. Norman, his wife Jennifer, and their family reside in Lauderdale county and are active members of First Presbyterian Church in Meridian. Ricky is a class B certified system technician and has been in the security and electronics business for over 20 years. His many years of hands-on experience makes him the go-to guy for solving alarm related problems. He has his NFBAA level one and level two certifications as well as continually taking classes on new products and services in the industry. Ricky also has extensive knowledge of gate and access control equipment. Ricky resides in Newton county has a son, daughter and son-in-law, and twin granddaughters.